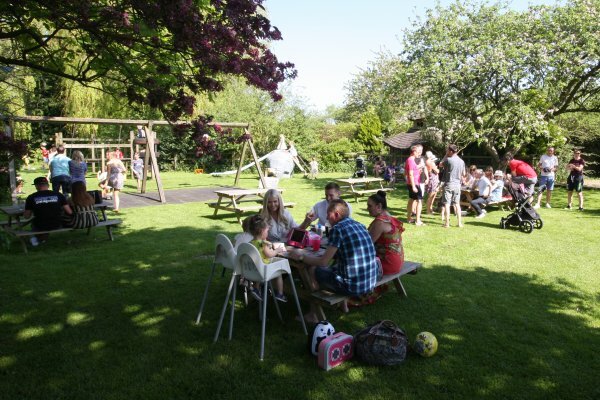 Massively family friendly pub with big garden & NEW play area + a double decker fun bus that can be booked for parties too! Waffle & coffee shop indoors that the kids will also love. 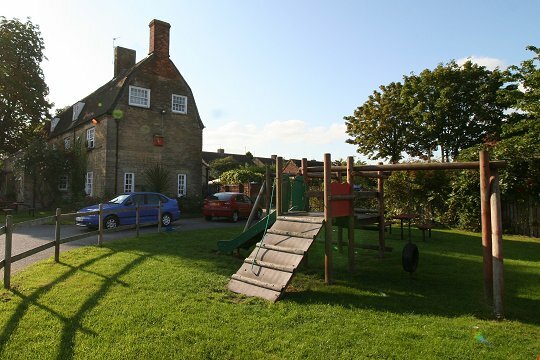 A previous landlord was persuaded to take this pub as soon as his children saw the play area, they loved it that much. Plenty of places to climb, slide & swing. Next door to Coate Water country park too if you fancy a walk. 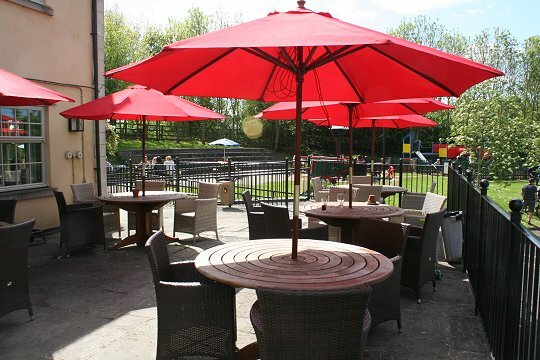 On the River Ray just outside the town centre, this family-friendly pub has a climbing area that'll keep the kids occupied for hours. 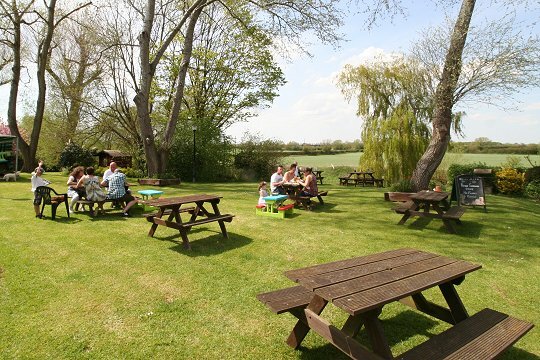 This Thameside pub in Castle Eaton has a big lawn area to the left ideal for kids to run around without disturbing other eaters & drinkers. Secret Wendy House too! Swans & ducks to feed, boating & plenty of room to run around. 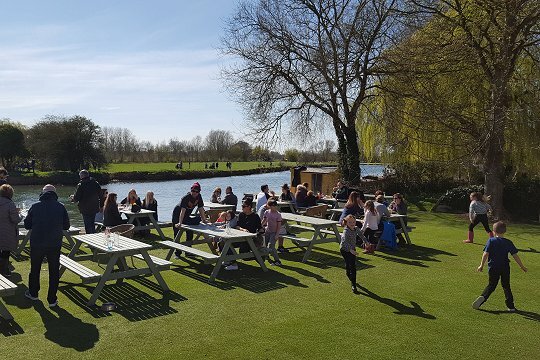 No wonder kids love it down by the river in Lechlade. Sip back and relax while you let the little monkeys climb away in a safe play area just off the main terrace. 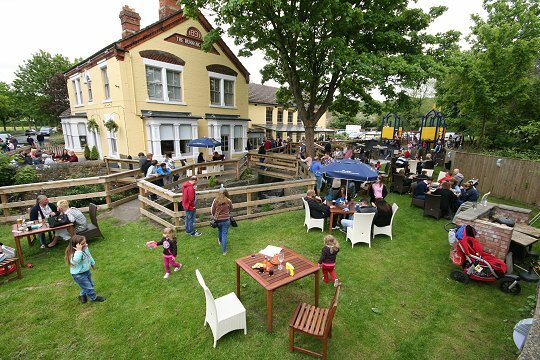 The Swindon & Cricklade Railway stops off just outside the pub too if you fancy a weekend train ride with refreshment! 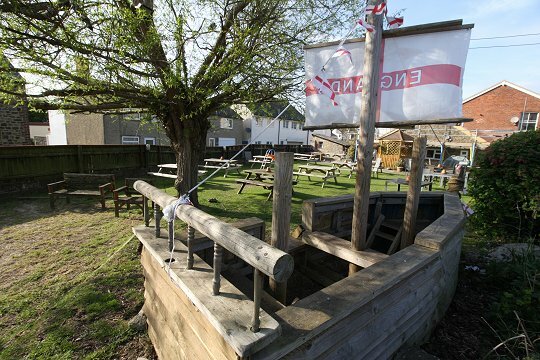 A great pub garden, me hearties, for children who can play Jack Sparrow & Blackbeard on their own pirate ship in the corner. 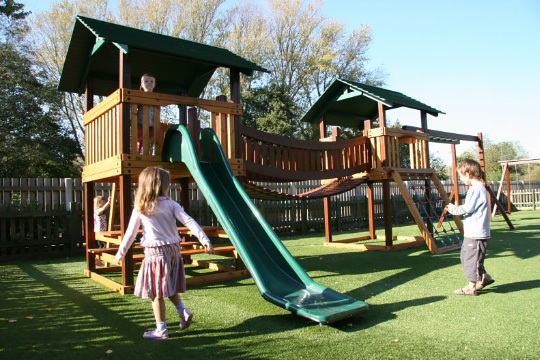 Two safe play areas for kids to tire themselves out incl. slides, climbing frame and wooden train.